This is my latest find and I will say immediately that I am in LOVE-big time! These really are for the make up loving girl who has everything-24ct gold leaf infused lip gloss. I got mine from the Cult Beauty website but they're also one of the brands in the Selfridges Beauty Workshop. From the Cult Beauty website I chose 2, Cornelian which was described as 'an orangey-coral sunset' colour and Punk, described as a 'putty pink'. The packaging is really nice-they come in a cardboard box an on the inside lid is a quote from William Blake. 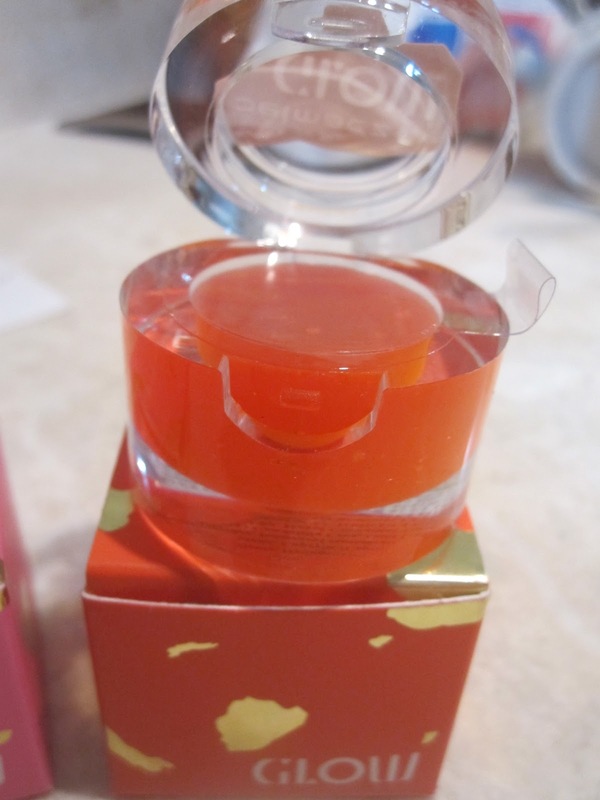 The gloss itself is in a clear plastic case with flip top lid. When I first saw Cornelian it looked so orange I thought I had made a wrong choice and was really disappointed. But when I tried it I was amazed, it is the most beautiful colour, sunset coral is the perfect description. This is going to be my holiday go to for sure-I am absolutely in love with it. 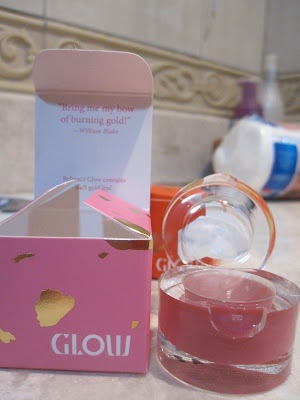 The texture was a surprise too-I thought it was going to be a 'solid' lip gloss, a bit like carmex lip balm. But it's more like a jelly vaseline texture (I hope that makes sense!) so don't be tempted to poke your finger in as you'll end up with loads of product on your finger. But it isn't sticky at all and feels light as a feather on your lips. The colour is buildable as well, below I've posted pics of the Cornelian colour with one and two layers. This is my favourite of the two, I don't have anything else like it in my collection. Belmacz Glow Gold Leaf lip gloss in Punk Top; One layer, Bottom left; pink with subtle gold shimmer, Bottom right; baby pink in the pot. The only problem with these glosses is that I like them so much I've ordered two more from Cult Beauty! Not a cheap addiction at GBP24.95 each.